IF BEALE STREET COULD TALK is Barry Jenkins’ third film and we would argue his third straight classic. 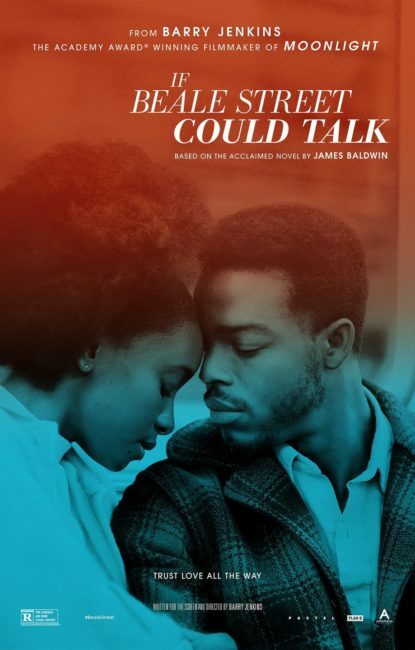 This adaptation of the James Baldwin novel is beautifully shot by cinematographer James Laxton and has a stellar cast telling the kind of love story that you only get to see once in a generation. 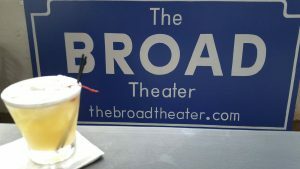 We have a special sneak preview on Thursday with a full schedule of showtimes starting on Friday. VICE, MARY POPPINS RETURNS, and THE FAVOURITE all remain in our lineup for another week. We recently updated our website with a few new coming soon attractions including a healthy dose of critically-acclaimed independent films including SHOPLIFTERS, STAN & OLLIE, and COLD WAR. You can look forward to seeing those films and many more over the next few months. BYOB(aby) will be showing MARY POPPINS RETURNS this week. This infant-friendly show will be on Thursday at 11 AM and will feature sushi from Asuka available for pre-order on our website. With the lights turned up and the sound turned down it is a perfect way to bring your baby to the cinema in a stress-free environment.